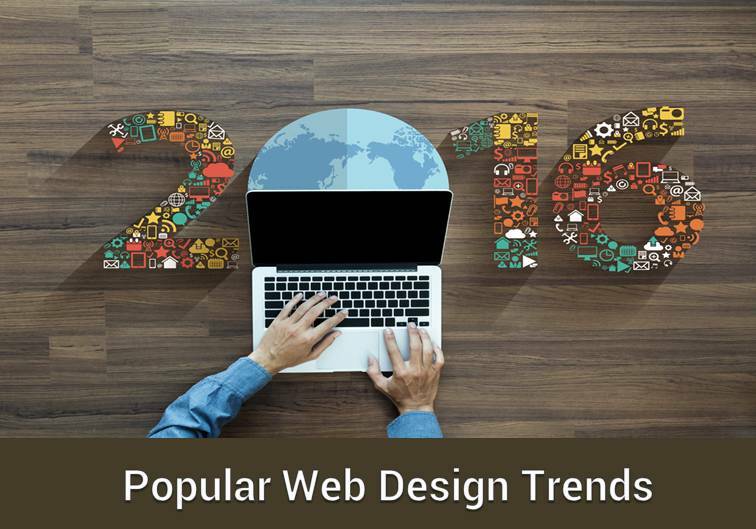 We take a look at the top four web design trends witnessed in 2016. Animations improve your website’s appeal and deliver a more engaging user experience to visitors. Since animations inherently involve movement, this motion can be used to attract attention and maintain user interest. Features like loading animations, hover animations and background animations can be used to deliver an entertaining, intuitive and visually responsive website experience. Features like pop-up notifications and disappearing navigation menus contribute to improved functionality. Introduced by Google and adopted by the world, material design is one of the hottest new design trends today. Material design is an interpretation of skeuomorphism (a philosophy where websites are designed to match real world physical dimensions) and flat design (minimalistic flat images that are bare of any real world dimensions). Material design strikes a balance between the two by offering colourful visual appeal, minimalism and intuitiveness, all in one package. Although long scrolling had emerged long before 2016, it found widespread adoption only this year. This is majorly due to mobile devices far outnumbering desktops in recent years. Websites with long or infinite scrolling look great and work well on mobile devices. Long scrolling has also found strong favour among SMEs who do not want to spend a lot of money on designing and developing websites. Long scrolling allows such companies to build impressive, multi-fold one page websites to promote their brands. The demand for HD images and videos has risen, spurred by HD devices and faster internet connections. HD visuals significantly improve visual appeal, which in turn leads to increased time on site. HD visuals can be implemented through videos, hero images, stock and custom photography, and much more. The constantly evolving nature of the internet, changes in user preference and innovations in web design tools and platforms can make it hard to keep track of the latest developments in web design.